With an amazing amount of support pouring through social media from the band family yesterday many people asked how they could somehow help this small band community during this time. One member of our community, Brian Stevenson, has offered to fix any damaged instruments in his instrument repair shop in Colorado for them, which is freaking amazing. 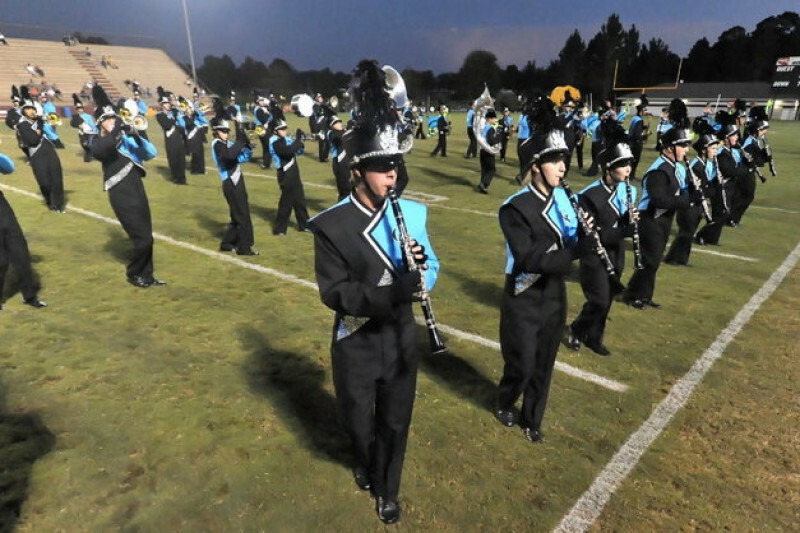 Parents of the band have rallied together and started a GoFundMe page where they are collecting money to purchase new instruments for those that are completely destroyed. You can support the GoFundMe by clicking HERE and making any size donation. All the money is 100% going to the band so no worries there about this being a fake account. It is legit. Over 175 donations have already been made. Let's help them get to their goal! We are getting into the action too. We'd also like for you all to send us notes of support via email to cmb@sullivation.com. We are going to collect them all, print them and send them over to the band just like we did for the Ohio State band member who was hurt this past fall. If you'd like to write a note of support just email us and we will collect them all and send them as one big collection. Please send them over to us by this Sunday. We love you all and hope you'll continue to show your support for this band community in need. Please share this so all band fans can come together and participate.